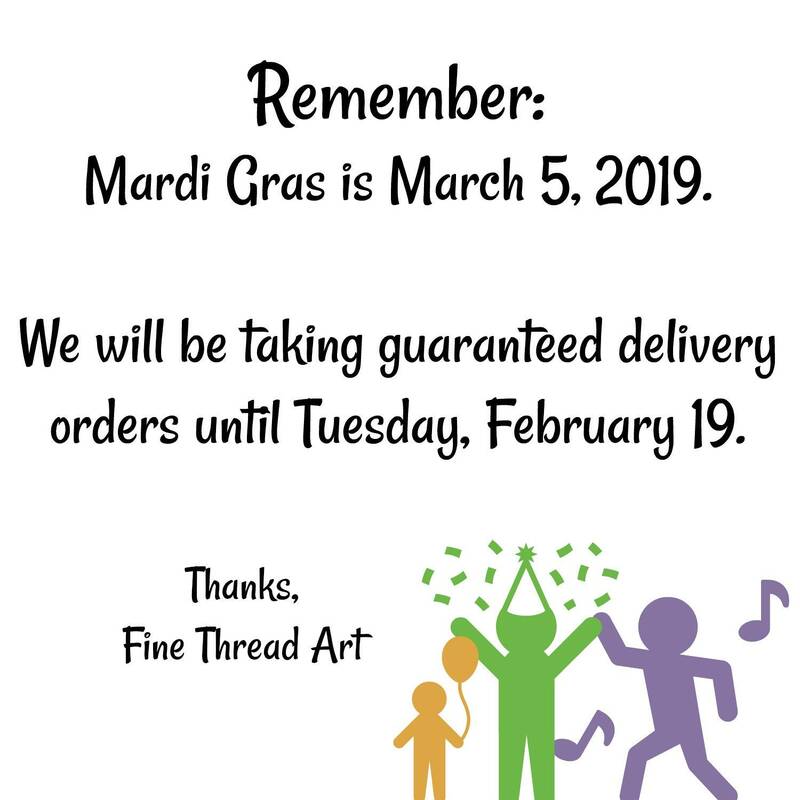 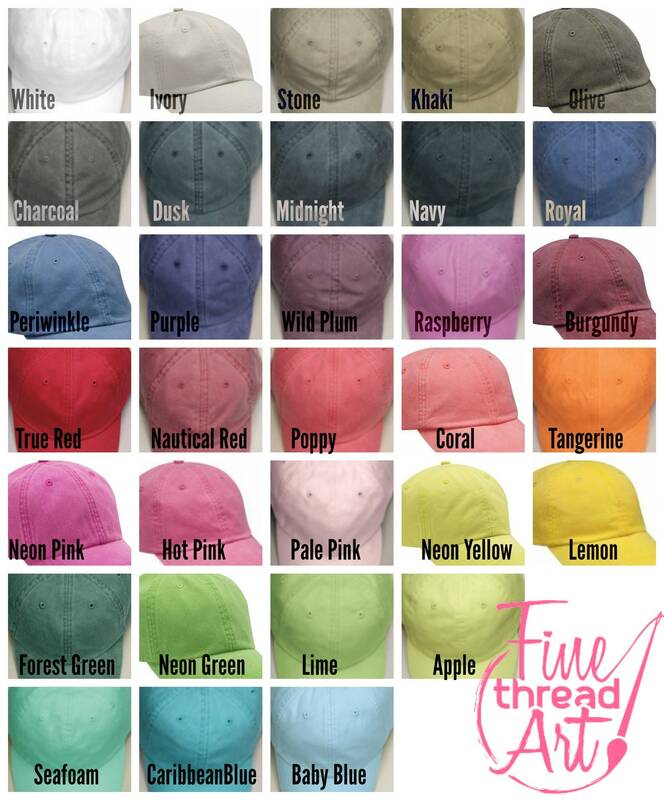 - Embroidery is in Mardi Gras thread, which has all three colors on one spool! 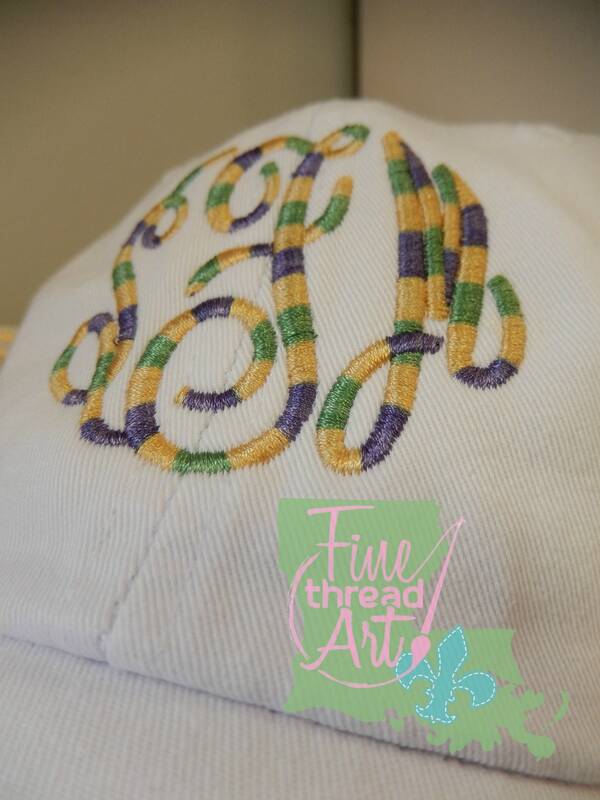 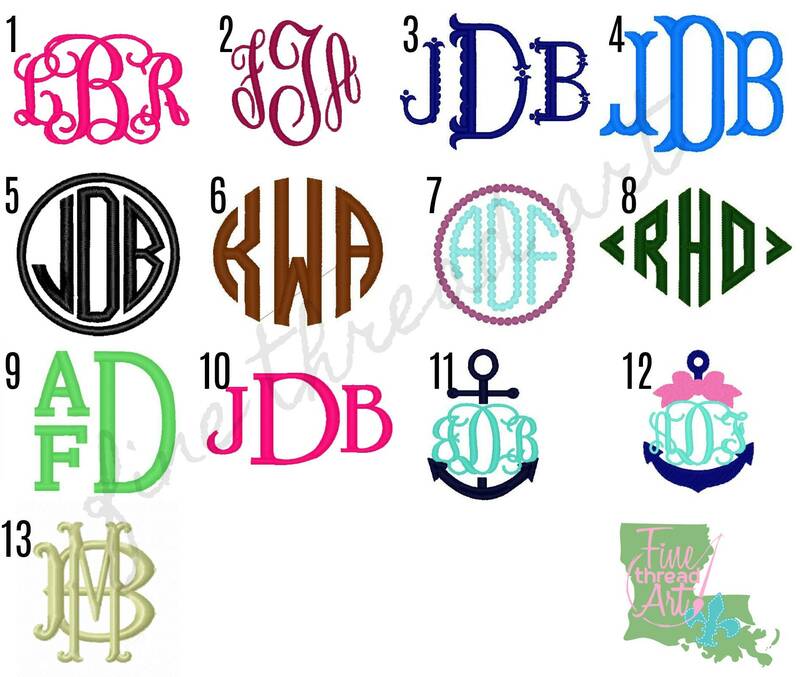 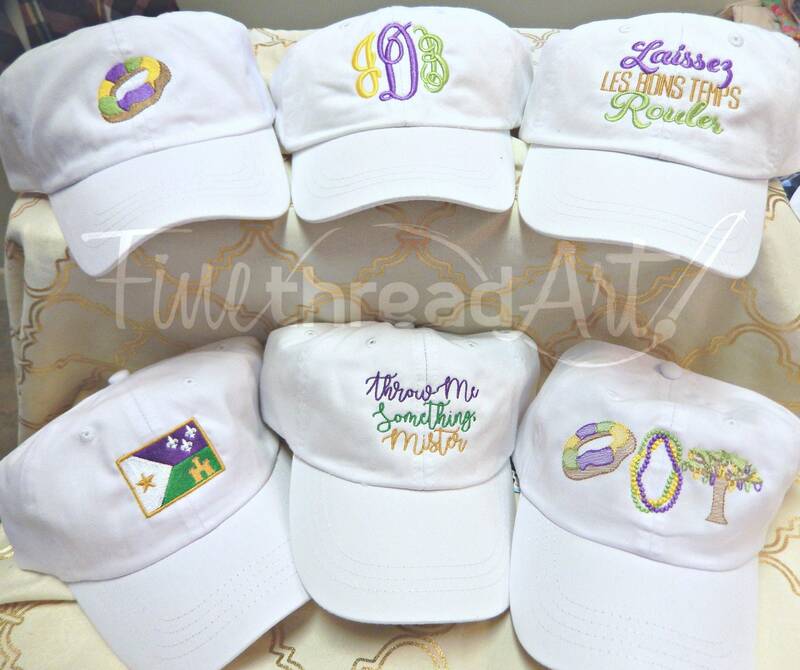 - Your monogram will be sewn on the front center in our Mardi Gras thread. 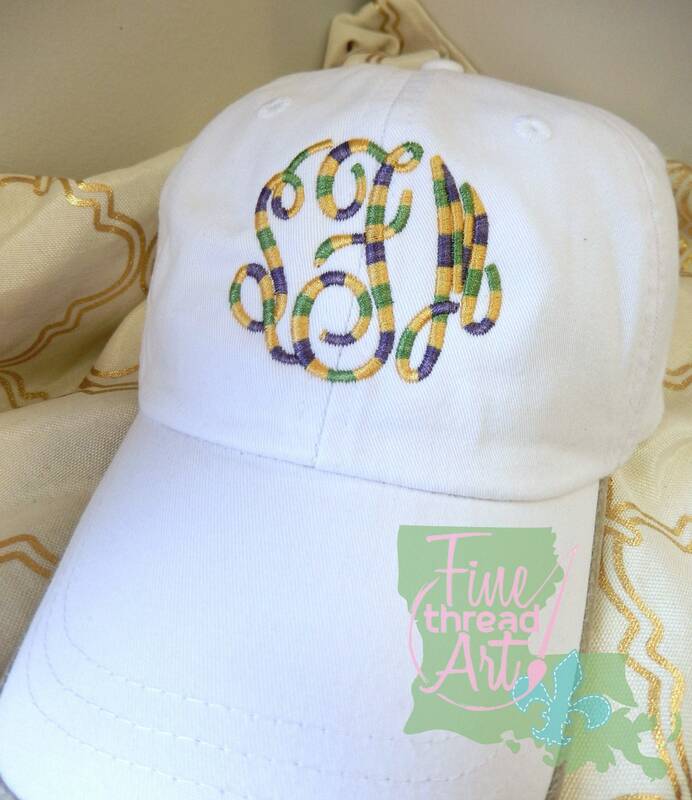 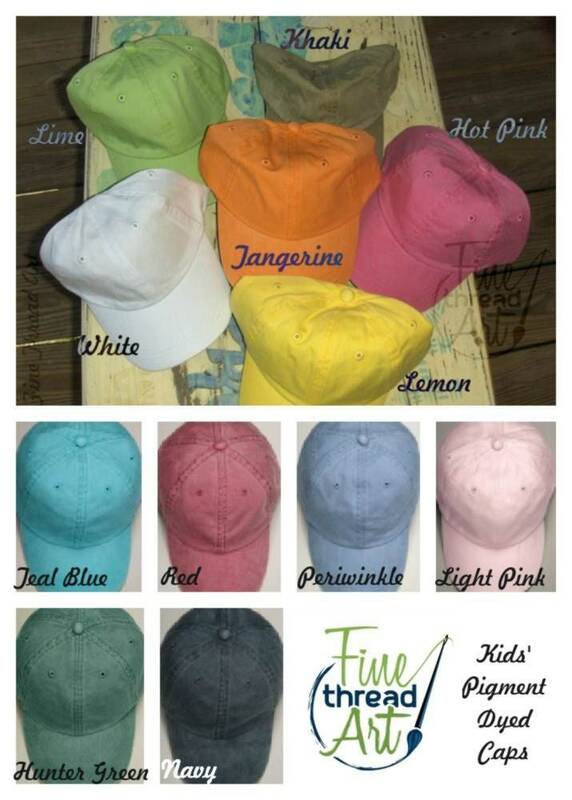 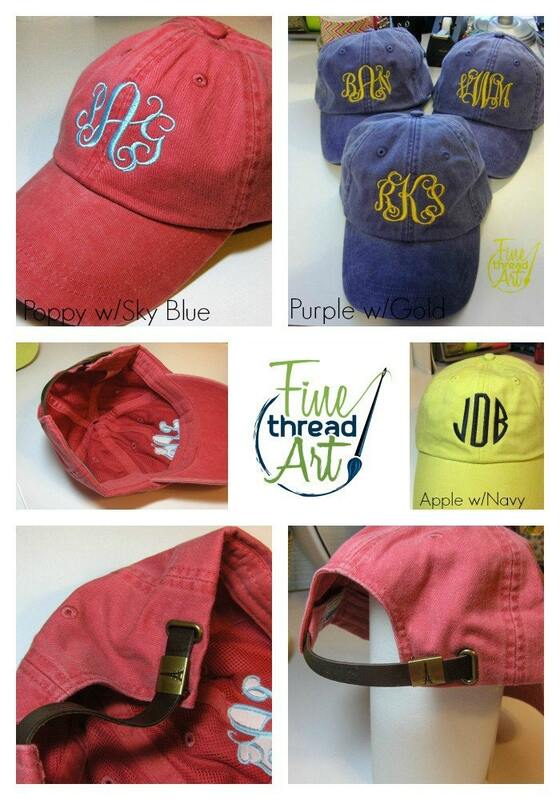 - The monogram is around 2" to 2.25" tall on adult hats and around 1.85" tall on kids' hats.